Do you have a pattern of undermining yourself when pursuing your goals? In other words, do you self-sabotage more than you want to? In my practice as a psychologist, I have worked with many people who might be called “self-victimizers,” or even “self-saboteurs.” I have also known enough people in my personal life guilty of this tendency–until more recent years including, admittedly, myself! Self-sabotage can occur in various contexts of your life. I would like to specifically focus on four such contexts: 1) job or schooling; 2) personal projects; 3) self-harming habitual behaviors like addictions or compulsions; and 4) significant personal relationships. Take Marsha. She holds a job as a lower-level manager in a medium-sized company. Marsha has been on the job for three years, and feels by now she deserves a promotion to middle-level manager. At the same time while employed, she is pursuing a bachelor’s degree in accounting at a local college in night school. As determined as she is to achieve both of her goals, Marsha does things that sabotage her efforts to reach these goals. For example, on the job, she tends to be late in the morning, misses deadlines on projects, and occasionally antagonizes a co-worker or challenges her boss in an overly aggressive manner. In school, she does not completed some assignments and misses more classes than she should. Harry, also self-named “Mr. Project,” loves to work in his garage on projects involving woodworking or wine-making. Both of these pursuits are passions of Harry’s. However, his determination to complete these types of projects is often not matched by the number of times he actually completes them. That’s because Harry’s other nickname basically is: “Mr. Procrastination.” Much more often than not, his ambition to finish a piece of woodworking or create a vat of wine is overridden by his tendency to rev himself up at first to do a solid amount of work on projects of either type, only to put off and put off actually bringing them to a finish. Sandra is a successful attorney, with a seemingly good marriage and healthy kids. That’s the good news about Sandra. The bad news is that she is obese and drinks alcohol to excess on too many occasions. 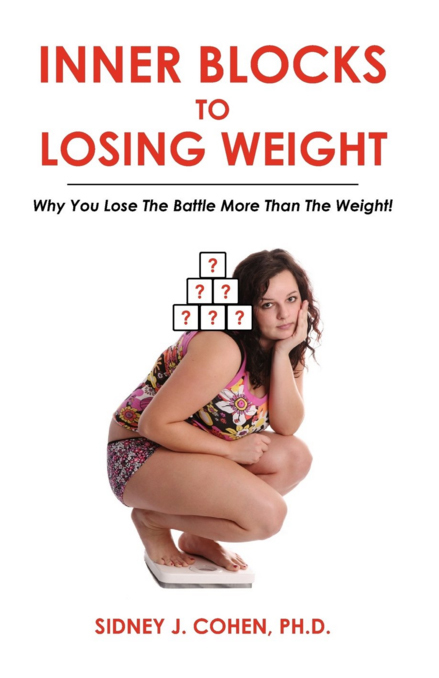 On the weight loss front, Sandra’s pattern is to get some momentum going on the diet and exercise fronts. But then typically it’s just a matter of time before she ends up on the path to self-sabotage, going off her diet and stopping exercising. On the drinking front, Sandra all too often sets sobriety (or at least much less drinking) as her goal, only to sooner or later decide something like “hey, what the heck, I can have a few at the upcoming business networking parties; everyone else will!” This is a classic case of Sandra’s inner bully and self-sabotage that is countering acting her weight loss efforts. Dave’s long-term live-in girlfriend Alice recently left him permanently. Dave often professed his deep love for his now “X.” But his actions too often for his own good–and the good of the relationship–did not match his loving words. That sad, relationship-comprising fact of Dave’s life was especially manifested in behaviors on Dave’s part like occasionally exhibiting a bad temper towards Alice, or spending more time hanging out with his sports buddies than she could tolerate, or on a couple of occasions cheating on her. Besides interfering with reaching your goals in any of the four contexts above, there are two other negative effects self-sabotage can create for you. One I will CLINICAL, and the other PERSONAL/PSYCHOLOGICAL. On the clinical front, it can lead you (temporarily if not indefinitely) into symptoms of depression and/or anxiety, as well as addiction. On the personal/psychological front, the negative consequences are likely to become a loss of self-respect, self-esteem, and motivation, as well as personal relationship failure(s). In any of these ways, you can end up paying a pretty significant price for sabotaging yourself. 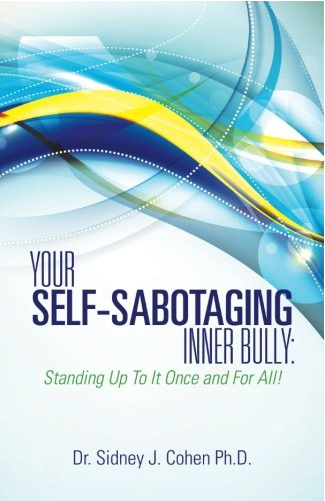 The metaphor I use for self-sabotage is the “inner bully.” Think of it as a negative “force” inside your subconscious, whose primary purpose is to steer you into failure over success. It does so by attempting to make you believe two core self-defeating messages: 1) “I don’t deserve to be successful in reaching my goals!” and 2) “I deserve some type of negative consequence for my big screw-ups!” So your goal-related losses become your inner bully’s victories! Finally, in closing, we all know there are no guarantees in life, sustained effort and positive attitude notwithstanding. But if you do your best to remain aware of the various types of harm it can cause you to self-sabotage in important contexts of your life, then you become more capable of doing things in your control to do to nip it in the bud as it is happening, or better yet, prevent it from happening in the first place!